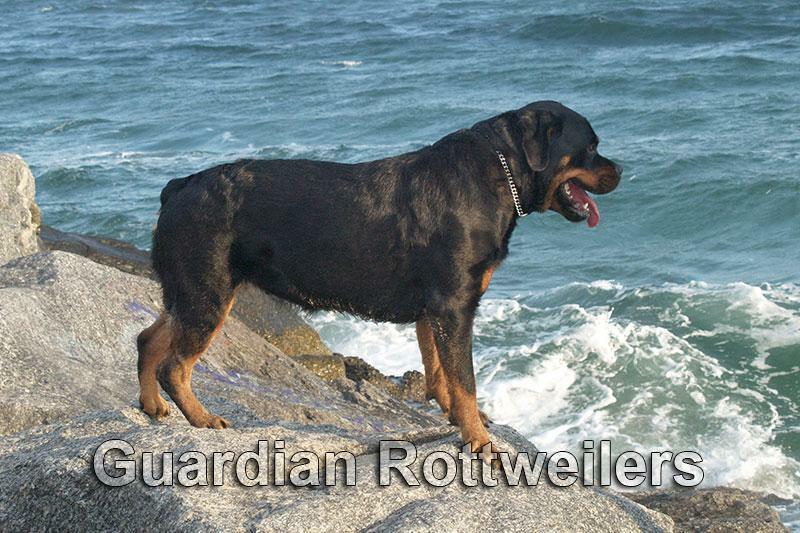 Serbian import and international champion Aron von Verschez Berg is a rottweiler male located in Miami, Florida. Puppies from Aron consistently demonstrate similar type and working ability. Aron weighs 61kg (134.5lb) and measures 67cm (26.5″) at the withers. 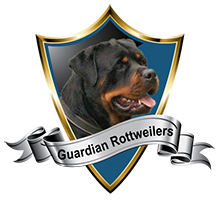 This makes him a very large Rottweiler male, 1cm short of maximum height as per the German rottweiler standard. Aron has very nice bone, dark mahogany markings, and a head piece that we consider ideal for a rottweiler. Dentition, mouth pigment, eye color and earset are all correct. He is a very stable dog, friendly with people and good with children. Alert to noises/intrusions on his property, but is calm around the house.